*Please note: tentative Spring 2020, Summer 2020, Fall 2020, and Spring 2021 schedule of classes are available for viewing. Although you will not be able to register for Spring 2020, Summer 2020, Fall 2020, and Spring 2021, the ability to see what courses will be available may assist you in planning your Summer and Fall 2019 registration. Registration opens March 25th for Summer and Fall 2019! 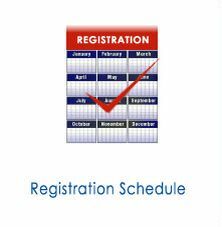 Check the Registration Schedule to see when you are eligible to register. Please check your holds prior to registration. If you do not know what your MyFAU account User ID and/or password is, please go to the following site to activate your account: https://accounts.fau.edu/SelfService/registration. If your account is not found or you cannot log in, please contact the helpdesk at 561-297-3999. 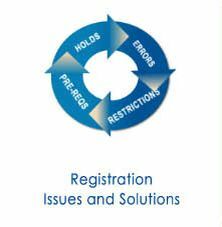 You can create a registration plan before registration opens by utilizing the Plan Ahead feature. This is a great feature and makes registration easier and faster. It allows you to plan your schedule for a future term before registration opens. You can register for courses right from your plan once registration opens. It is not a requirement to make a plan. However, it may also be useful when meeting with your academic advisor. To create a plan, select the Plan Ahead icon in the Registration menu. You can watch a tutorial on the plan ahead feature here. You can register for classes using the searchable schedule, entering the CRN (course reference number), or from your plan that you created ahead of time. After you add your classes, press submit at the bottom of the page. To print out your course schedule, click on View Registration Information. Select the correct term and then you can print your schedule or send an email of your schedule. Please click here to view a video on how to Add and Drop classes. Complete the Drop/Add Registration Form. Receive permission from the instructor via the web. If a paper Drop/Add is completed, instructor's signature and college stamp is required. Take the form to the Office of the Registrar for processing and pay course fees to the Controller's Office via MyFAU or US Postal Service. 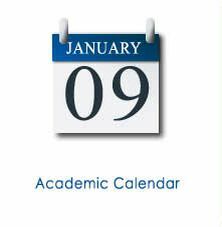 Any undergraduate student who wishes to register for more than 18 credit/semester hours must see their college advisor for approval. College must stamp/sign "OK for Overload". Non-degree registration is for students not interested in pursuing an FAU degree at this time such as taking courses for enrichment, for certification, to transfer to another university, applied too late for the upcoming term, and for applicants with no admission decision. Coursework for credit will appear on an FAU transcript. Credits earned by a Non-degree seeking student may subsequently be applied to a degree seeking program. Up to 9 credits may be transferred. If the credits exceed 9 credits, approval from the college in which the student has enrolled must be obtained. ** Non-degree students must comply with state immunization and residency policies. An application plus a non-refundable/non-transferable $30.00 fee is required to enroll in this category. ** Graduate courses in the College of Business are not available for non-degree registrants. Non-degree students who wish to register for graduate courses in Psychology must obtain permission of the instructor plus a college stamp. All students regardless of class or classification are required to adhere to all stated prerequisites. Check with the department, or the University Catalog for more information. If a class has reached its maximum enrollment limit, you may choose to add your name to the waitlist. If a space opens up in the class, you will be notified via email of the opportunity to register for this class. If you attempted to register for a class that has reached its maximum enrollment limit, MyFAU Self-Service will present you with the option to place yourself on the waitlist. Just click on the Action box and choose "Wait Listed" then click on the Submit Changes button. If a space opens up in a class for you while you are waitlisted, you will be notified by email only to your FAU email account. Login to your MyFAU Account If you do not know what your MyFAU account User ID and/or password is, please go to the following site to activate your account: https://accounts.fau.edu/SelfService/registration. If your account is not found or you cannot log in, please contact the helpdesk at 561-297-3999. If no action is taken, after your time has expired you will be dropped and the seat will then be offered to the next student on the waitlist.